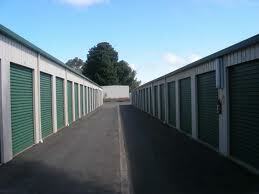 Anywhere you go, you see self-storage units mushrooming. They are safe and clean, and promise to meet all your needs and requirements. They are found in different sizes and are the ideal choice for businesses, students, and homes. You could use them when you have your office or home refurbished, to store additional items, or simply when you are on the move and wish to store your belongings for a short period of time. Moreover, they can be a perfect option for you when you wish to expand your business without having to go through long-term leases and pricey overhead. The basic idea of a storage unit is to offer people a safe place in order to stockpile their possessions they don't have room for, or the ones that are not required on a daily basis. Thus, they are known to be an extremely cost-effective option. Let us understand what can be stored depending upon the usage of person to person. The essential role of a storage unit is to store all your belongings and the basic rule they follow is the more space you need, the more rent you pay. Contracts are characteristically on a monthly basis. You can opt for climate-controlled storage units in case you wish to maintain a constant temperature in the storeroom. However, ammunition, perishable items, live animals, etc are restricted items.